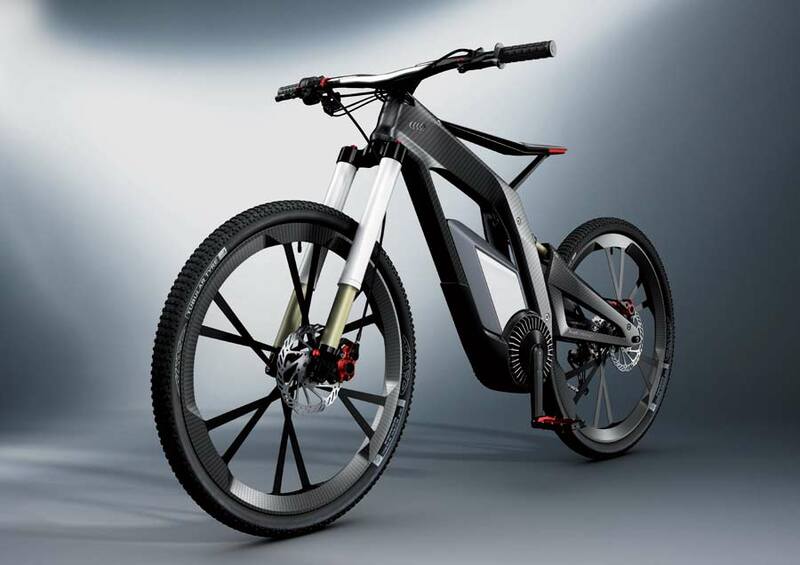 Following on from its teaser video, Audi has released details of its new electronic sport bike, named the Audi e-bike Wörthersee after the show where it will be making its début. Designed primarily for sport, fun and tricks, the Audi e-bike uses a pedelec system along the same lines as smart’s ebike, with power coming from a motor with a peak power output of 2.3 kW and 250 Nm (184 lb/ft) of torque, which is fed by a 530 Wh lithium-ion battery that can be fully recharged in around two and a half hours via a 230 V supply. Several programs can be chosen by the rider, beginning with ‘Pure’ mode, which is simply pedal power with no assistance, followed by ‘Pedelec’ mode which utilizes the motor, allowing a top speed of up to 80 km/h (50 mph) with a potential range of between 50 and 70 kilometres (31 and 44 miles). The ‘eGrip’ program uses electric power alone, with speeds of up to 50 km/h (31 mph) being possible depending on how much the twistgrip is being turned. Finally, the ‘Wheelie’ mode controls power flow to assist the rider while riding with the front wheel in the air. Depending on your level of skill, the rider’s balance can be controlled electronically, and this is why we want one of these bikes.